CELEBRATE IN STYLE. Traditional birthday candles are fine for a kid's cupcake, but they don't help create a special mood for that certain someone. 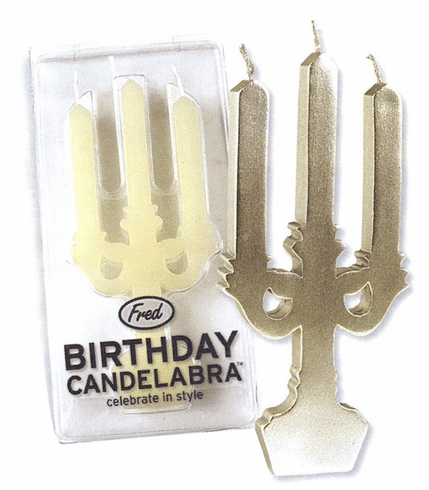 If you want a little ambience to go with that chocolate truffle cognac cheesecake, then the BIRTHDAY CANDELABRA is here to help light the way. It's an elegant candle with three wicks - but who's counting?